Now here's a little something special for all of you vinyl lovers out there. It looks like if you ordered ¡Dos! on vinyl you'll be able to hear "Drama Queen" off of ¡Tre! about a month early. Originally "Drama Queen" was going to be on ¡Dos!, but was last minute swapped with "Stay Heart" that was originally going to be on ¡Tre!. The vinyl's were pressed before the change was made allowing "Drama Queen" to be leaked out to a number of fans who bought ¡Dos! on vinyl. You can order a copy of ¡Dos! on vinyl from Green Day's official webstore for $22.98. 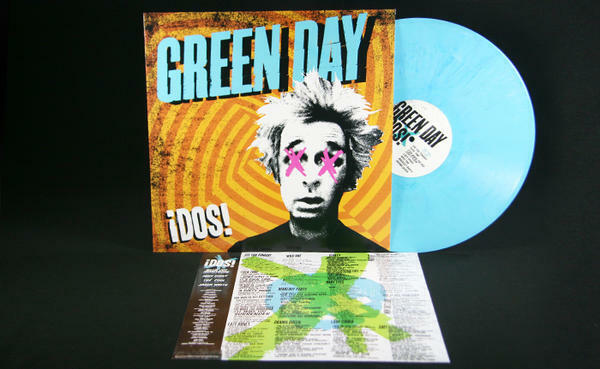 Hot Topic will also have an exclusive pressing of ¡Dos! on blue vinyl that will be available to order on Tuesday when the album is released in the United States.